Now that the Electors were perceived as the ones who were to make the final choice for President, a separate nominating function and narrowing down process evolved. For individuals pushing the election of a certain candidate for president, the option of having the election go to the House of Representatives was considered problematic and threatening. Instead of choosing someone as an Elector who would nominate wise candidates, Electors were chosen to support a certain candidate. The very individuals who were to be precluded from being Electors were influencing and controlling the Electors. At first this was done informally. Turning the nominating prerogative of the Electoral College openly over to the political parties followed afterwards. Contrary to both the spirit and the actual words of the Constitution, both the Federalists (the more aristocratic faction) and the Republicans (the more democratic faction) were trying to manipulate the Electors. The issue was not whether the Electors were to be manipulated, it was who was to manipulate them. 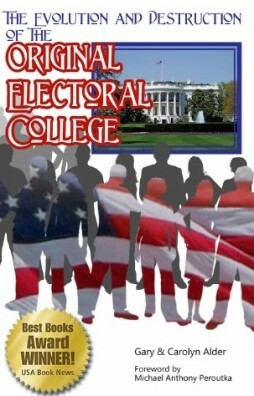 The movement toward the popular vote system not only soon annihilated the Federalist Party but also obscured the purpose of the Electoral College System for selecting presidents. In the party war that was taking place, the Constitution could be considered collateral damage.